Fast Company Magazine is representative of much of the media: not much on hard facts about Chicago. The Windy City has distinctions but not positive ones. Chicago’s retail sales tax is the highest in the nation at 10.25 percent. Unions, high taxes, and political corruption have made Chicago one of the leaders in big city decline. One of the great modern myths of big city America is that Chicago is some sort of successful town and a role model for others. By any traditional performance standards Chicago has failed. Like many old, big industrial cities, Chicago peaked in the 1950 Census with a population of 3,620,962. In the 1950s over two percent of the entire U.S. population lived within Chicago city limits. Over a half century later, while America’s population doubled, Chicago’s population declined. The 1960, 1970, 1980, and 1990 Census numbers showed Chicago losing population. Mayor Daley and Chicago residents were quite excited about the 2000 Census showing Chicago gaining over 112,000 people (a growth rate at half the national average for the 1990s). It appears the 1990s were an anomaly for Chicago. Since the year 2000, according to Census estimates, Chicago again continued its population decline with a loss of 63,000 from 2000 to 2006 leaving a total of 2,833,321. Recently, the Web site Real Clear Politics listed two Chicago area Congressional districts among the country’s ten fastest-shrinking districts, in terms of percentage of population lost between 2000 and 2005. Jan Schakowsky’s district lost 7.9 percent of its population. Congressman Rahm Emanuel’s district lost 5.1 percent. Though 2000 was a somewhat positive year, that year’s Census numbers mask some rather disturbing trends. The white flight out of Chicago continued with 150,000 non- Hispanic white people leaving Chicago from 1990 to 2,000. African-Americans, for the first time, began leaving Chicago with a net loss of 5,000. The population gain in Chicago during the 1990s was due to Hispanics. One of the great fables urban lovers of Chicago like to talk about is some comeback of the city. The comeback, according to this urban legend, involves white families staying in Chicago to raise their children. With Chicago’s 150,000 white population decline from 1990 to 2000: Chicago was only 31.3 percent non-Hispanic white. What is even more pronounced is the lack of white children in the public school system. The entire Chicago Public School System is only 9 percent white. Not a single public high school has a population that is majority white. Not one. Half-empty schools are ‘unacceptable’ because they don't serve their students or the communities they're supposed to anchor, Mayor Richard M. Daley said Thursday, setting the stage for the biggest wave of school closings in decades. Officials contend 147 of 417 neighborhood elementary schools are from half to more than two-thirds empty because enrollment has declined by 41,000 students in the last seven years. A tentative CPS plan calls for up to 50 under-used schools to close, consolidate with other schools or phase out over the next five years. Nicholas Wolsonovich, superintendent of schools for the archdiocese, called the exodus from Chicago's Catholic schools ‘mind-boggling.’ In 1964, he said, some 500 schools were spread across the diocese, with about 366,000 students. Now, the system has 257 schools and fewer than 100,000 students. Over the last decade statewide, the number of Catholic schools has dropped from 592 in 1997 to 510 this year, according to figures released at the conference. Chicago’s political elite love to give speeches about the importance of public education, but not for their children. Mayor Daley sent his children to private schools. Deborah Lynch, the former head of the Chicago Teacher’s Union, sent her kids to private schools. America’s newest political superstar, Barack Obama, sends his kids to private schools. With the exodus of the rich from Chicago’s public schools, 69 percent of the children in the Chicago Public School system are poor. The horrible public schools, high taxes, and crime have driven families out of Chicago. The city’s job base cannot compete with anti-union places like Houston and Phoenix. Chicago used to be the number one convention town in America but Las Vegas and Orlando now lead the pack. Chicago has lost its top spot as busiest airport to Atlanta. Chicago's high priced unions and restrictive work rules have driven business elsewhere. For decades, Chicago was a major banking center with two major banking headquarters located on LaSalle Street. Continental Bank and First National Bank of Chicago were always among the top ten largest banks for much of the twentieth century. No longer. Continental was purchased by Bank of America while First National Bank of Chicago was purchased by JP Morgan. Not a single bank in the top 25 largest banks in America is headquartered in Chicago. While Chicago’s financial district declines Charlotte, North Carolina has emerged as a bigger banking town. Charlotte has the headquarters of two of the four largest banks in America: Wachovia and Bank of America. Other elements of Chicago’s financial district also show major weaknesses. Chicago doesn’t have one major mutual fund company headquarters. Chicago’s mutual fund job base is smaller than Denver, Indianapolis, or Baltimore. Chicago has a few major hedge funds but nothing like New York City or London. Chicago is the futures capital of America with the merger of the Chicago Mercantile Exchange and the Chicago Board of Trade but even here the news isn’t all positive. Computers have shed tens of thousands of jobs in the futures industry. Futures trading floors are headed for extinction within the next three to seven years, eliminating even more jobs. Chicago’s high tax life style has driven businesses and jobs to the suburbs. Chicago is one ofthe only towns in America with an employee head tax on employment. Companies with over 50 employees must pay $4 a month per employee to the city. Most of the major corporate headquarters in the Chicago area are located in Chicago’s suburbs. Motorola, Walgreens, All State, Kraft, Anixter, Illinois Tool Works, McDonald’s, Alberta-Culver, and Abbott Labs all have their corporate headquarters outside city limits. Recently, Chicago got its first Wal-Mart. In most places in America, politicians allow consumers to decide whether a business should fail or succeed. In Chicago, with the power of the unions, Chicago’s city council has made it difficult for Wal-Mart to open up any more stores. Chicago’s poor are relegated to paying higher retail prices and have less access to entry-level jobs. The adjacent suburb of Niles has the unusual distinction of being the only town in America (with less than 45,000 people) with two Wal-Marts. One of the Niles Wal-Marts is located right across the street from Chicago. The largest employer in the city of Chicago is the Federal government. Followed by the City of Chicago Public School system. Other major employers are the city of Chicago, the Chicago Transit Authority, the Cook County government, and the Chicago Park District. These thousands of government workers provide the backbone of the coalition for higher taxes, generous pensions and “political stability”. Chicago’s political system is inefficient and costly. There are no term limits in Chicago. The Democratic Party has controlled the Mayor’s office since 1931(a big city record). There’s no opposition: Democrat’s control 49 out of 50 seats on the city council. Corruption is everywhere. Barely a month can go by without a major scandal. The FBI has the largest public corruption squad in the United States located in Chicago . Chicago voters don’t seem to care. Those who care about high taxes, good public schools, and low crime are a small minority in Chicago. In conclusion, Chicago’s long decline continues. In the coming years, public pension commitments will test even the high tax tolerant Chicago residents. Look for low regulation, low tax Houston to overtake Chicago in population in the next eight to 15 years. This now puts Chicago's CBD employment number at nearly 542,000 jobs. According to a recent news report, this is known to be the largest number of jobs in the CBD since at least 1971. The news report added that 542,000 jobs is believed to be the largest number of jobs ever in Chicago's CBD. Submitted by uofix on Sun, 09/07/2014 - 05:27. Submitted by qdetu1 on Sun, 06/29/2014 - 03:52. Great post! these info is extremely helpful. i need you write a lot of on this subject! i have to say, i believed this was a fairly fascinating browse once it involves this subject. Submitted by johnmaxim on Fri, 05/09/2014 - 17:24. The public criminal background records typically contain personal details and description of an individual, clearing criminal record california details of each arrests and criminal offenses committed by him, sexual offense records, imprisonment records, conviction records, police record etc. Submitted by rrrbert on Sat, 03/23/2013 - 12:06. Submitted by AddisonSmith on Tue, 09/11/2012 - 04:18. Submitted by Elaina on Fri, 08/10/2012 - 06:32. Chicago town would be the biggest location within Illinois along with the 3rd most-populous location in the states. The city provides about 2. 7 zillion occupants. The city spot, occasionally termed "Chicago land", would be the third-largest in the states, having an projected Sticker Maker Printing. 8 zillion persons. Submitted by railbuff on Fri, 05/25/2012 - 19:46. 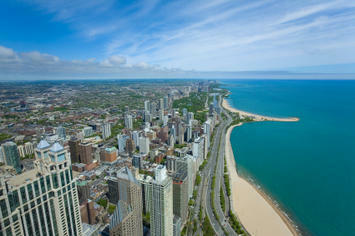 The Alpha Global City of Chicago is at or very near being a MegaCity of 10 million. Using the broadest definitions of what the megacity of Chicago includes in land area and by the terms Combined Statistical Area or Consolidated Metropolitan Statistical Area or the oldest informal definition of metropolitan Chicago which is Chicagoland or a combination of these three definations of metropolitan Chicago; I can arrive at megacity Chicago populations of 9,740,000 or 9,851,000 or 9,940,000 or 10,051,000. This is with 2010 census population figures. The Global City Of Chicago Ranks Number 6 In The World Based On The Composite Of Five Recently Released Rankings Of The World's Cities. Submitted by LA Villas on Tue, 02/15/2011 - 05:37. LA Villas The high cost of living, high taxes, state income tax,union costs and other taxes and fees have pushed Chicago out of competition to cities like Houston. Houston will take over as the third largest city in not fifteen or ten years but given the growth of Texas and Houston. It will be six to eight years or less! The state of Texas has already passed New York State as the second most populous state a few years ago. The cities in Texas are outpacing the growth of cities in California,Florida, Illinois, and New York by wide margins. Major corporations in high-tech industries have been locating to Texas from California in record numbers as well as other companies and corporations from all around the country. Houston is the new kind of the South and has become the dominant city in the South and Southwest. It's influence will continue as the price of oil and gas continue to set new records, and the world capital of oil and gas will become a bigger player in U.S. politics and the business world. Submitted by Dwight on Tue, 03/24/2009 - 05:45. It is not new anymore that there are companies today that are declining. Our country is in the midst of economic crisis that’s why we may find it hard to live well today. But in order for us not to suffer much we must find ways on how to survive in the present crisis that we are facing. Lots of people today have become unemployed. You ever wondered about how you could work from home? Well, as it turns out, a lot of people work from home. Psychologists, attorneys, mechanics, the number of industries that can actually be run from the home are diverse. You could even start a microbrewery or small winery in your garage and sell it, with proper equipment and licensing, of course. Beware though-if you don't have the proper licenses, it is known as moon shining, and you couldn't get enough personal loans to handle the attorney fees. Cottage industry, as it is called, is how many people have made a decent enough living for centuries – it’s a time honored tradition, and unlike being the CEO of a Wall Street bank, people that work from home make an honest living.